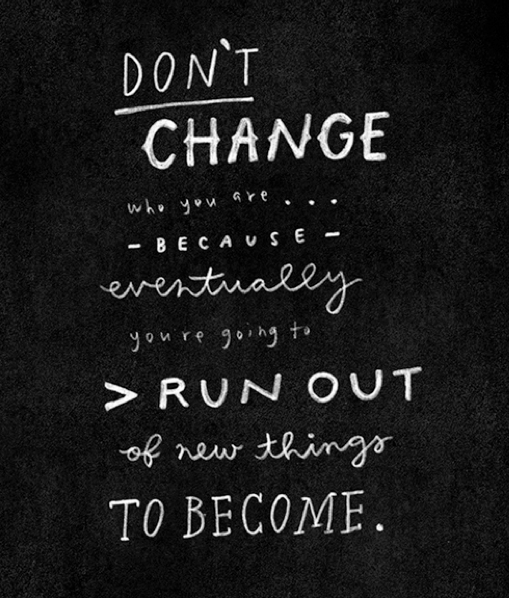 Remind yourself of this and often! Pumpkin: Last year I added gold and glittery dots to my pumpkin. 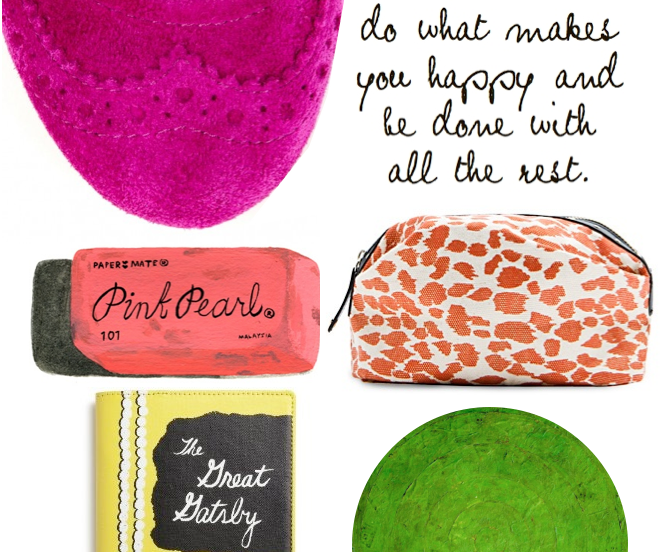 Perhaps this year it will be neon pink?! 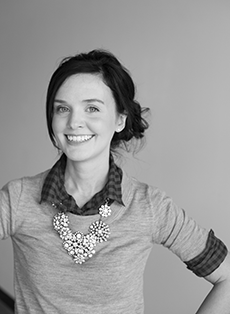 Haute as Hello: Did you catch this week's Everygirl profile about Emily Schuman? She said this was her go-to shade. Anchors Aweigh! I'm slightly obsessed with this large brass paper clip. It would look adorable on my desk! Let's Fly: There's something so simple and charming about this print. 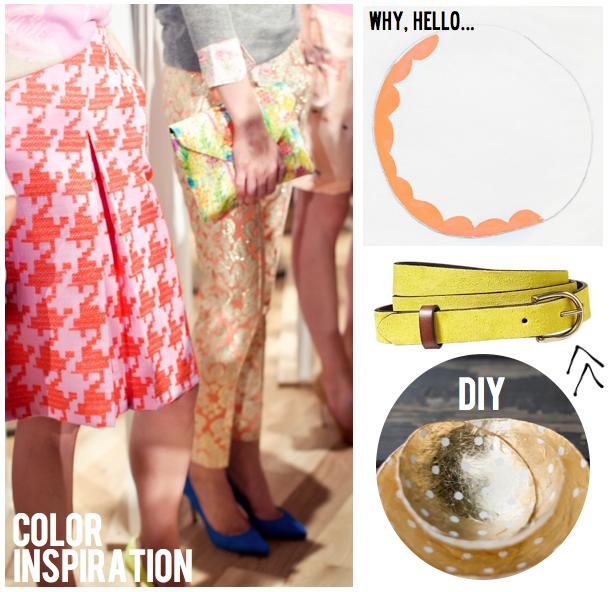 Inspiration: I can't stop thinking about all of the patterns in J.Crew's 2013 spring line. What about this skirt? Hoop: So much whimsy in one little panel. I love it! Belt: This is a fabulous color. It literally matches with EVERYTHING! Gold Leaf Bowls: Flyboy will be gone for two weeks, and I'm thinking this project is a MUST. 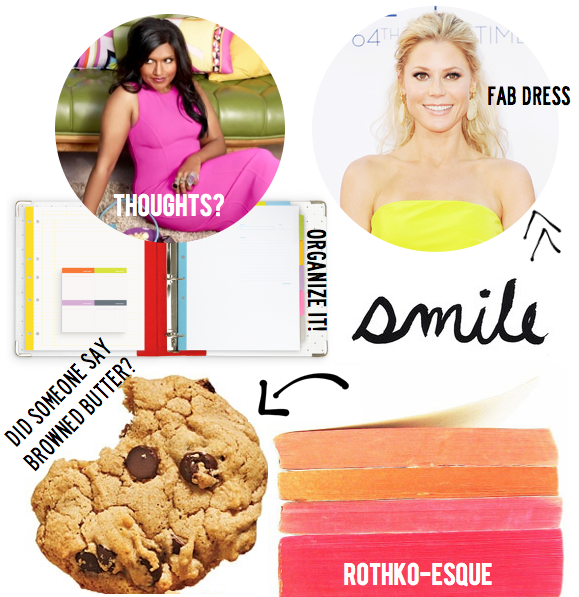 Mindy Kaling: Okay, so what are your thoughts on The Mindy Project? Are you loving it, or not so much? Julie Bowen: The dress color was absolutely stunning, and it got me super excited for the return of Modern Family! Stay Organized: How perfect is this binder? Cookies: I think I need a reason to bake. Browned butter and chocolate chip cookies? It must be heaven. Rothko: This photo by Modulem has got me giddy. I'm dreaming about Rothko's bold and exaggerated strokes. 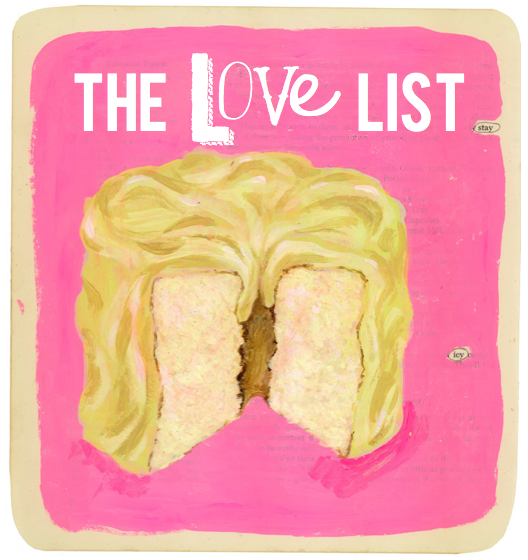 What is it that you're loving this week? Be sure to stop by on Monday! I've got a special treat to kick off the week. 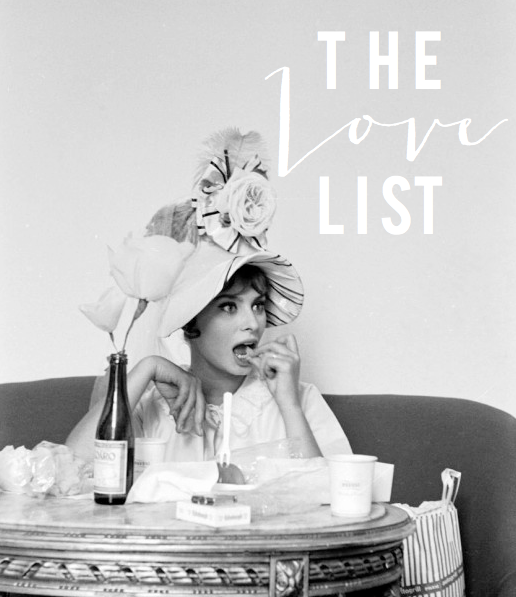 Today's post has all the makings for a perfect Thursday. Are you intrigued? I just thought you could use a pick-me-up! After all, you deserve one. You've worked your tail off this week, and you're one day closer to Friday. Woop woop! Anywho, I thought we'd spend our time together and indulge in a little pie for breakfast, courtesy of the lovely Emily Rickard. While I love the culinary and carb-loaded kind, this canvas pop of color is divine and won't stretch the waistline. But since this is a "Treat Yo Self" kind of day, we might as well have a real slice of pie, too! A la mode? Of course! And after satisfying our sweet tooth and artistic eye, we might as well spend the rest of the day shoe shopping. 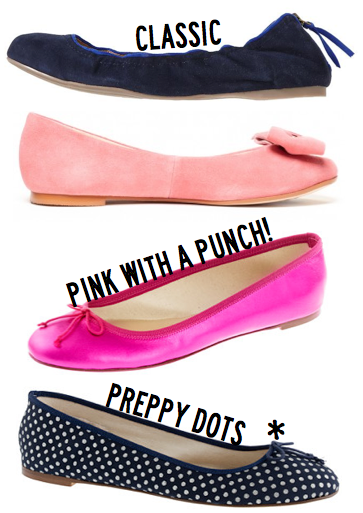 We have a bevy of ballet flats to choose from, and they all coordinate with our latest abstract acquisition. 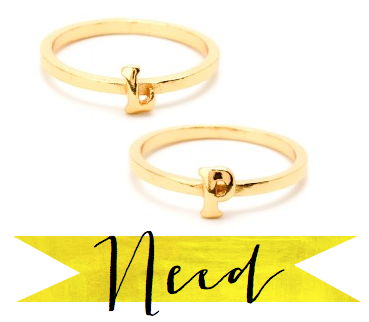 Need: Gorjana Alphabet Stacking Rings -- Gorjana's jewelry is always the best, and I think I need an "L" and "P" stat! 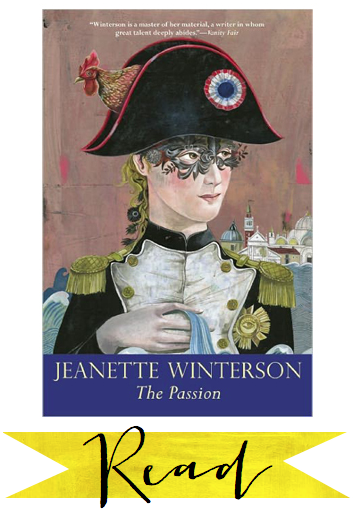 Read: The Passion by Jeanette Winterson -- Not to be confused with a movie with a similar name, this book is one that gets better every time I read it. It's one of those amazing books that is difficult to put in a category, but once you read it, you'll recommend it to everyone! Greed: Collection Jeweled-Collar Schoolboy Blazer -- I'm pretty sure bedazzling never looked so classy. Well done, J.Crew! I'm intrigued by your book recommendation, and those rings? They're flipping adorable! I must have them. 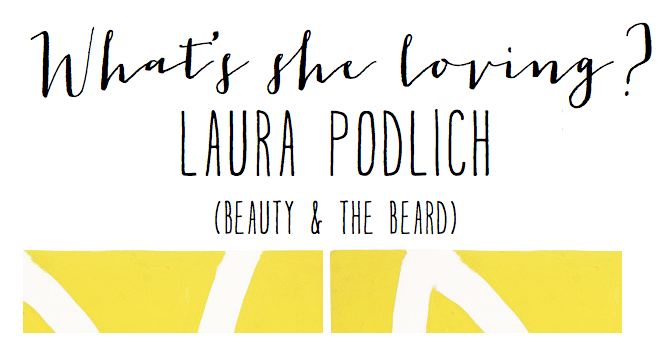 Be sure to bookmark Laura's blog, Beauty and the Beard. This gal has superb taste! I'm off to Barnes & Noble!! I'm going to cut to the chase and admit it already -- I'm one bitter apple! For the past few years, we've lived in areas where we've had to forgo the season of fall (i.e. Texas and Hawaii). It just isn't right, folks! My blog reader is brimming with posts of Autumnal goodness, and I'm forced to wear a light sweater with shorts in an effort to "fake" fall. It's a balmy 85 degrees at Lil' Puna, and I'll begin to perspire in my sweater if I start to move around too much. I know what you're thinking -- insert hashtag and punaproblems here -- but the curmudgeon in me has to vent. Now that I got that off my chest, you can find me seated at my computer, where I'll inevitably pin another sweater, or a pair of boots I have no business wearing this year. In addition to all these darling fall looks, I'll end up bookmarking endless recipes that include pumpkins and crock pots. When the day comes and we depart this lovely island, I hope we move somewhere in which we can experience the year's last, loveliest smile -- Autumn. Note: Is it just me, or does it feel like Andy Rooney took over and wrote today's post? My goodness! I guess that's what a lack of fall weather will do to a girl. Fall Fashion Flashback: On a funnier note, I thought I'd share something slightly embarrassing with you. I chose this top image because it made me grin from ear to ear. Ever the loyalist, I asked for a pair of Hunter Wellington Boots for my birthday in 1997 -- kinda like the ones in the photo. My dears, that means I was in the 7th grade. What business does a 13-year-old girl have with a pair of $100+ rubber rain boots? I'm not exactly sure, but I asked for them, and my parents bought them for me. I was absolutely ecstatic! We were living in Germany at the time, and I had every intention of wearing them to school with a plaid wool skirt -- just like the models in the J.Crew catalog. Yeesh! The day came and the boots arrived in the mail. I'll never forget the look on my mom's face as I tried them on. I could tell the "look" I was going for just wasn't working. I struggled to pull the boots over my monstrous calves. In our family, we have a build similar to that of German peasant stock. We're naturally bigger on the bottom. My mom often jokes that we were meant to carry the king up the hill to his castle. I think it makes complete sense! Now, whenever I tell this story, someone inevitably interjects and says something like, "Oh it couldn't have been THAT bad..." Believe me, it wasn't good. You see, my ankle-to-calf-to-thigh ratio has always been rather wonky. I tried to be like Tim Gunn and make it work, but I ended up returning them instead. When I see a pair of Hunter wellies today, I usually end up shaking my head and smiling. I guess this is one look I'll leave to the Duchess of Cambridge; she has it perfected. Enough about me, how about you? 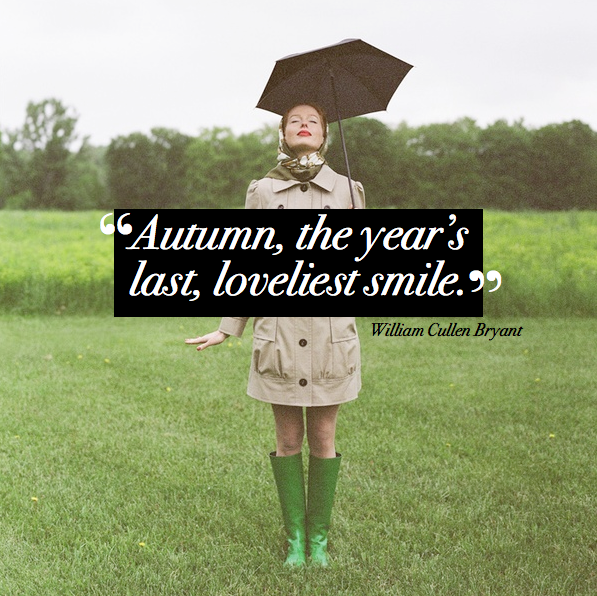 Have you experienced a crisp fall day? Partaken in any Autumn activities? Guilty of a fall fashion Faux pas or blunder? 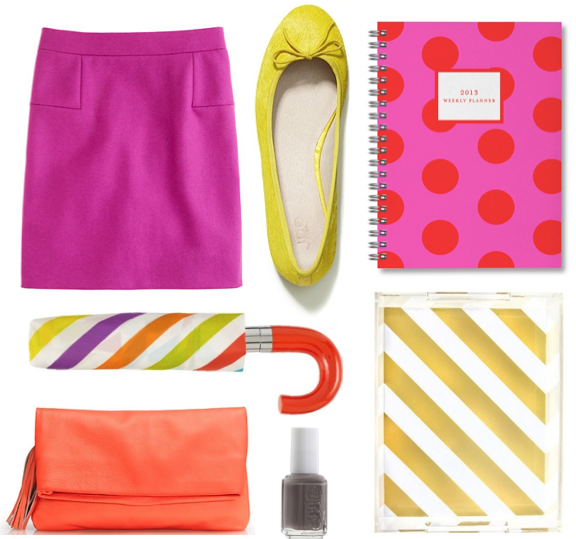 Did you know that Kate Spade and Paperless Post have collaborated? Eek! 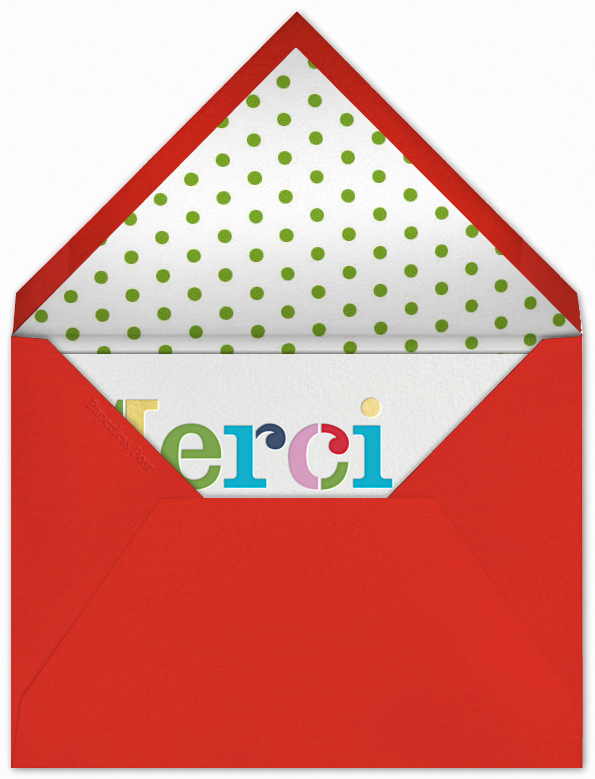 Sign up and receive access to a collection of online notecards and stationery. You can expect designs with signature stripes, playful prints, clever quips, and all that glitters. Can I just start off by telling you how much I missed you?! Interaction with YOU makes this a fun endeavor; it's the writing and creating of posts that can be somewhat tedious at times. 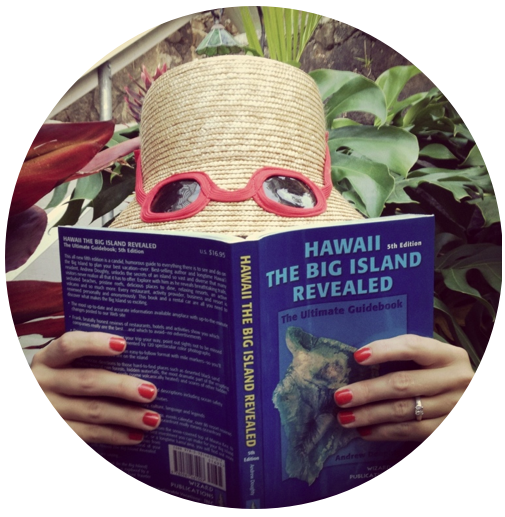 When I take a bloggie vacation, I rarely miss the posting, but I do miss hearing from you! How have you been? What have I missed? I put this post together on Sunday afternoon, and I'll be honest -- I needed A LOT of motivation. Thankfully, a Pumpkin-Spice Latte from SBUX, a clean house, and a call from my mom and dad got the creative juices flowing. As with most things, it's always a little rough to get back into the swing of the ol' routine. I opened my laptop and it felt a little awkward at first. I went one week without blogging and suddenly my wrists were stiff, and I couldn't find a way to get comfy. Do you ever have this problem? The time I'd set aside to work on m' blog wasn't going as smoothly as I'd hoped; I was fussy and restless. After a few deep breaths and a brief Pinterest intermission, I started sorting through recent photos. I couldn't help but smile as I relived moments from this past week. We had such an amazing time with my father-in-law; it was both action packed and relaxing (if that's even possible)! 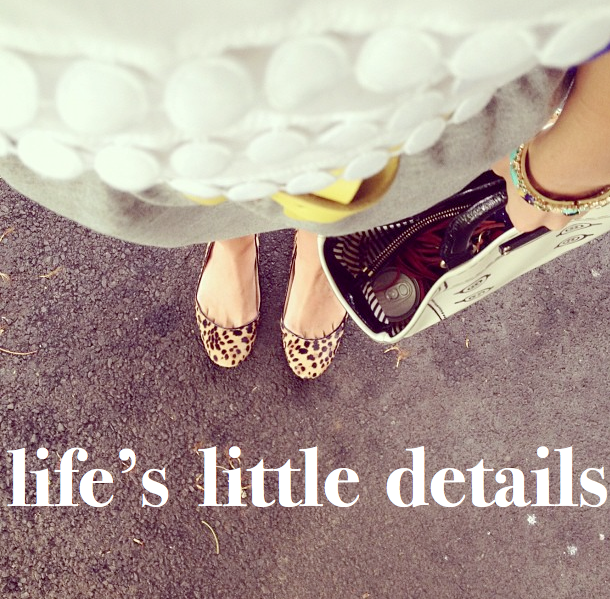 Take a gander at some of my favorite memories -- they're the details that make this life a whole lot sweeter. Warning: I had a hard time editing this batch of photos. Get ready for a whole lotta fun and festivities in one post! I guess I can thank Mae West for reminding us that "Too much of a good thing is wonderful." It's true. I'm taking the week off. The father-in-law is visiting and we'll be celebrating Flyboy's birthday! I couldn't be more excited for this week's festivities. I'll be back next week to share our adventures. Stay Icy by Martha Rich // There are several September birthdays in my family, and I can't help but think of cake. Hola! 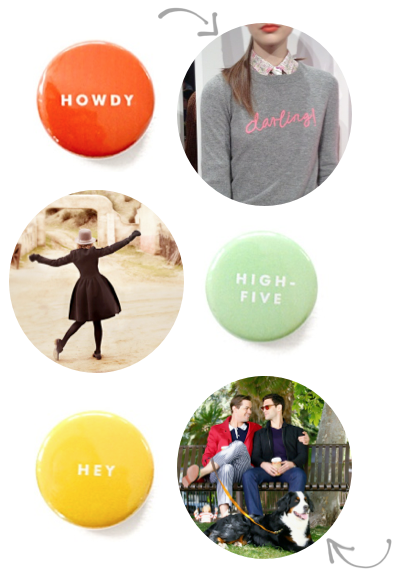 Erin Jang Buttons // Turn up the color with J.Crew's Spring 2013 line. I think I might need this "darling" sweater and stat. // I finally finished "Then Again" by Diane Keaton. She's absolutely adorable, especially in these photographs! // I'm loving the return of Fall TV, and I'm especially smitten with NBC's The New Normal. It's witty and fun, but the inclusion of two Bernese Mountain Dogs has me sold! You'll want to set your DVR, my friends! 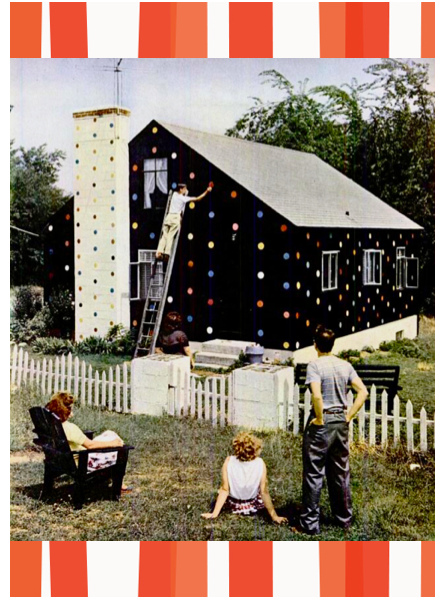 How amazing is this Polka Dot House? The image was featured in Life Magazine in 1952. Be Nice. (The world is a small town.) You must check out Austin Kleon's book, Steal Like an Artist. 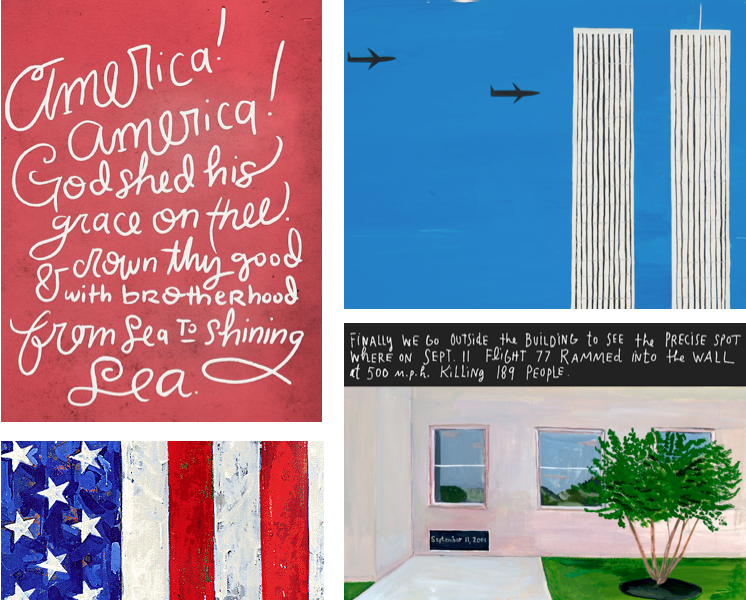 I'm excited about Joy Cho's Make Someone Happy series. Could she be any cuter? Mindy Kaling's new show officially airs on September 25th, but the first episode is available on Hulu. Woo hoo! Learn how to perfectly frost a scallop cake. How to properly wash your makeup brushes. Dress your tech devices with Designlovefest and Poolga. This "Touching Moment" made me giggle. Planning a party? 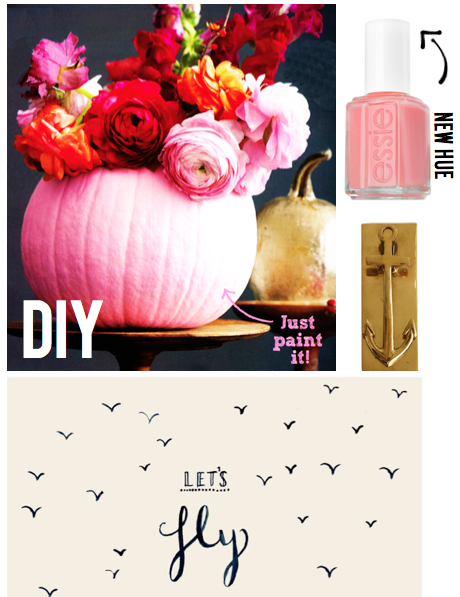 Check out these free printables. 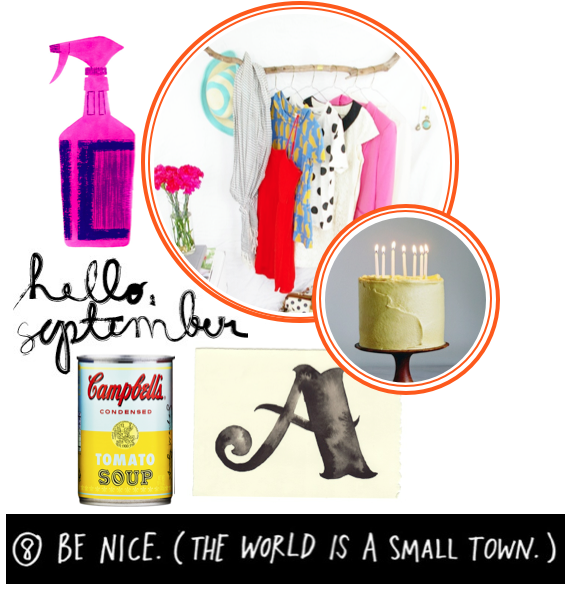 A September calendar from Creature Comforts: Chin up buttercup! 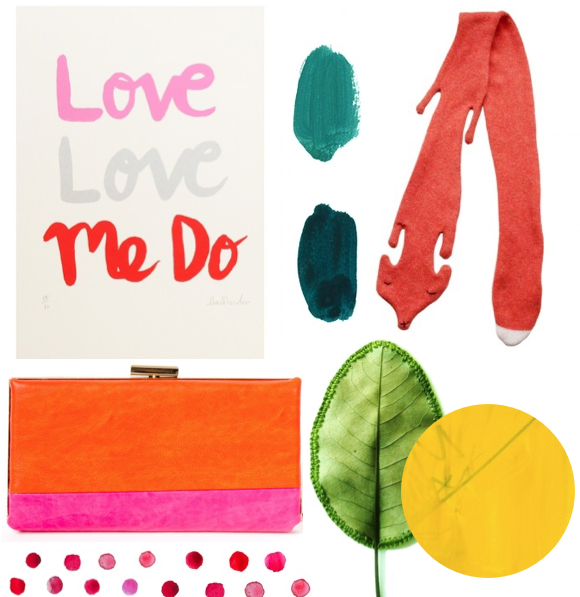 Did you see Gwynnie's homage to J.Crew in this week's GOOP newsletter? I die. How to move forward after hearing "No." 48 Hours in Venice: The photos are dreamy! P.S. Have I really posted 400 times? That's so cray (<-- sounds as silly as it looks)! Sometimes it makes me laugh when I hear people talk about color and how it should vary in your home and wardrobe depending on the season. That's a load of hogwash! I warmly welcome the idea of a crisp fall day and pumpkin-spiced lattes, but please don't subject me to drab colors like grey and black with a hint of burgundy or mustard. I'm sorry, but that's never been my idea of a pop of color. It's boring! 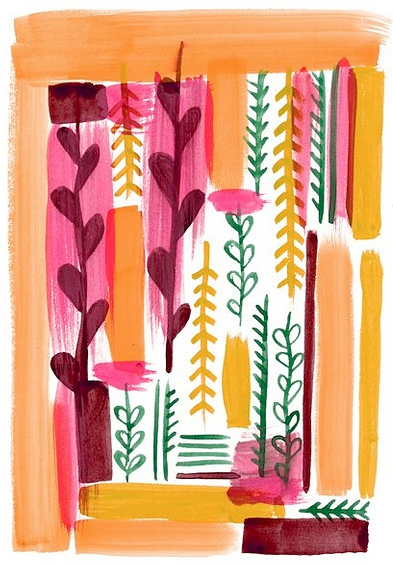 When I stumbled upon this watercolor, it instantly reminded me of autumn. 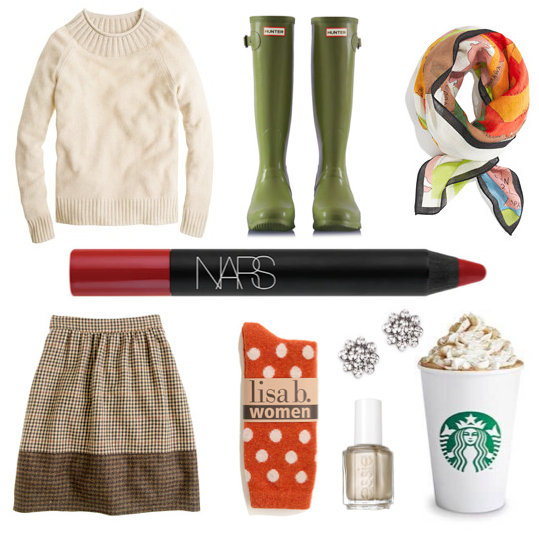 I guess all of this fall talk in bloggie land has got me pining for cooler days. It made me feel a little closer to sweater-wearing weather and allowed me to mentally escape the predictable 88-degree Hawaiian weather. 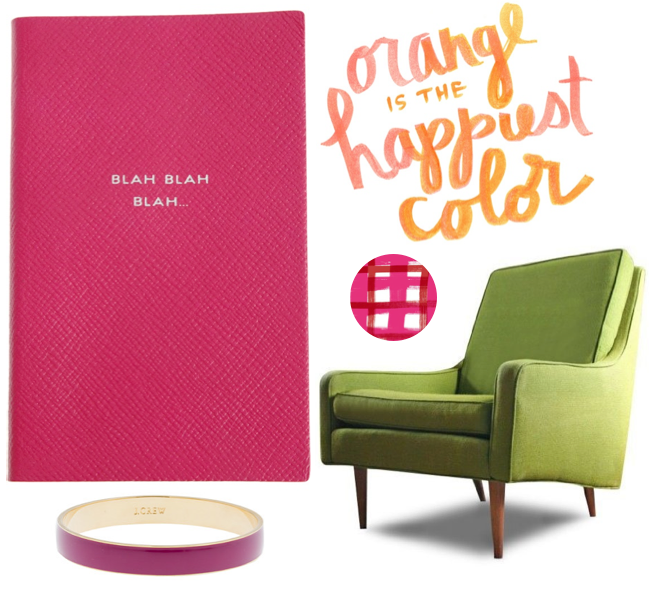 In this case, colors such as burgundy and mustard are complemented with punchy pops of pink, orange, and green. 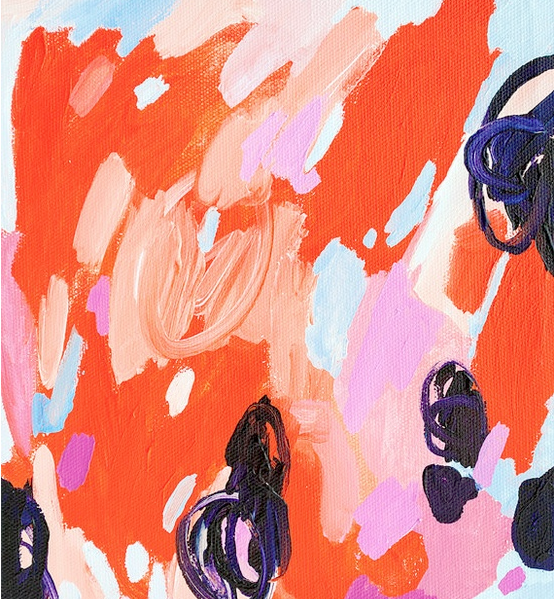 This piece epitomizes a fun and fabulous fall color palette. 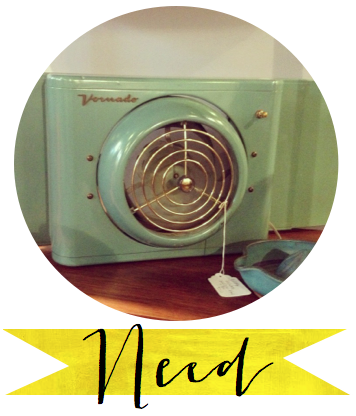 Need: Vintage Vornado Window Unit -- I first fell in love with this fan at a super posh retro-mod store in Denver. With a hefty price tag of $300 I had to part ways with the beauty, as she was more of a greed than a need. Cue the superhero music; boyfriend to the rescue! My fella found one on eBay that had never been used, in mint-condition, with the original box, for less than half the in-store price!!! Greed meet need. 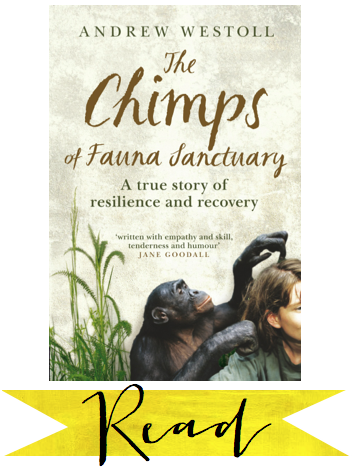 Read: The Chimps of Fauna Sanctuary by Andrew Westoll -- You had me at Chimps... oh and the Jane Goodall recommendation! This book was recently purchased and is at the top of my to-read list. I think there has always been a little bit of my heart tucked away in the forest of Tanzania among the wild chimps. I'll just have to go someday to reclaim it. 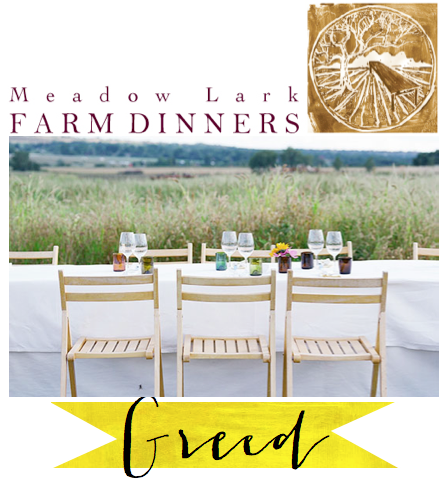 Greed: Meadow Lark Farm Dinners: Boulder, CO -- This precious reclaimed school bus doubles as a kitchen on wheels and visits a number of farms surrounding the Denver/Boulder area. Each new farm location provides an opportunity for local farms to feature their seasonal harvest in specially handcrafted meals. Can you imagine? A crisp fall night, walking through the fields, twinkling lights, a full glass of red wine, and an absolute celebration of seasonal flavors! It's THE perfect fall date night. With a high but very worthy price tag, and tickets that are sold on a lottery system, this greed will not be a reality this fall. Sadly, the season is already sold out. Le sigh! Interested in sharing your Need, Read, Greed? 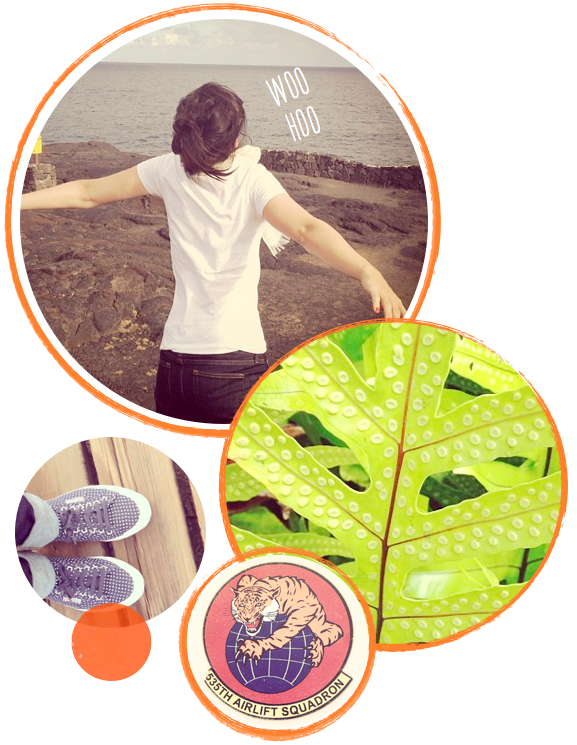 Just email me with your info, I'll whip up a graphic, and you'll be featured on m' blog! I'm rather smitten with the Tanya flats in Jazzberry! You're going to want to stop whatever it is that you're doing at the moment and check out Sole Society. Stat means now, my dears! This online treasure trove delivers on-trend shoes that are budget-friendly. Can I get a woop woop? 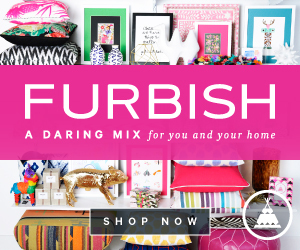 Join for free and enjoy access to new exclusive styles each and every day. The best part? Shipping is free both ways -- that's music to my ears! Go on and skedaddle; Sole Society awaits. Happy Monday, m' dears! I hope your weekend was as snazzy and sparkly as you are. Things around Lil' Puna have been rather busy, and it looks like it's going to stay that way for awhile. My father-in-law will be arriving this upcoming Saturday, and we're super excited to welcome another visitor! We've got all sorts of fun things planned, and I can't wait to share our adventures with you. But before I get ahead of myself, we've got to get through the work week. It's shaping up to be a busy one. The September to-dos have got me feeling slightly swamped, but that's nothing a cute notepad and my favorite pen can't take care of. While I fine tune my lists, enjoy some photos from the past week -- they're the details that make this life a whole lot sweeter. Vintage Sophia Loren images from Life Magazine by Alfred Eisenstaedt // Swoon! 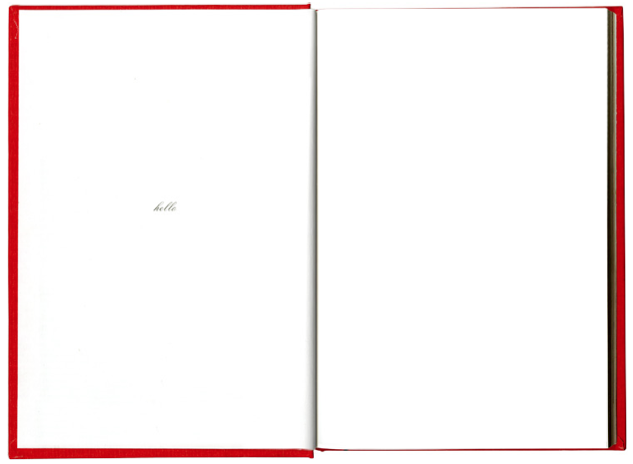 Hello // Absolutely smitten with the illustrations and calligraphy of Minna So. Peanut Butter Cup Brownies // Peanut Butter + Chocolate = The most heavenly combination. Crinkle Bag Vase // Simple & chic. Perhaps this is a sign I need to put my MoMA membership to work?! Fox & Brie Bow Ties // Darling is an understatement. A Sweatshirt // Impractical, but appropriate. 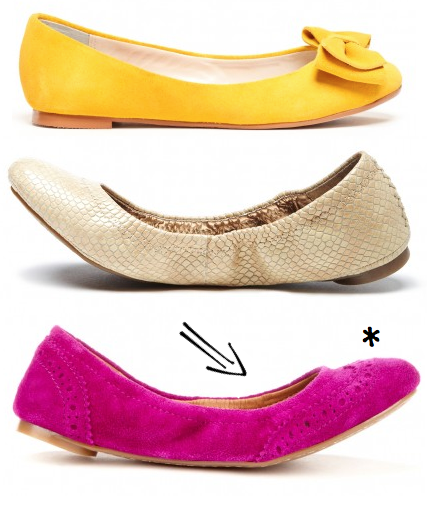 Hailey Too Flats // The lovely folks at Kate Spade may have misnamed this shoe. Ashley has a nice ring to it. 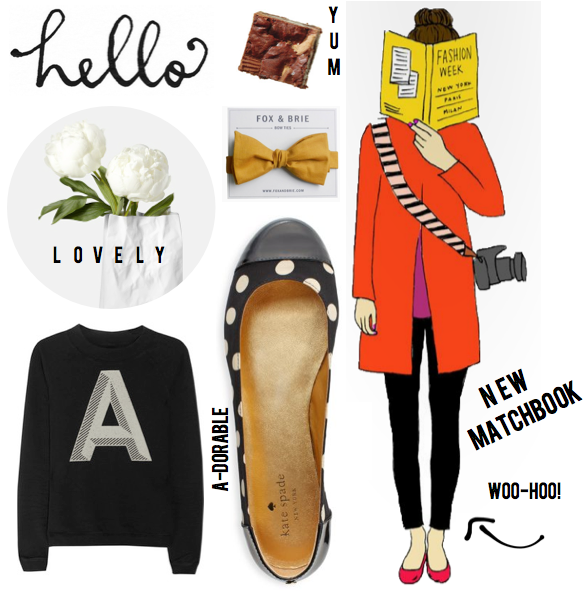 September Matchbook // The current issue is live and as lovely as ever. The Elements of Style // Illustrated by Maira Kalman and a constant source of inspiration to me. Failure is the best way to learn. // Another gem from Minna So. 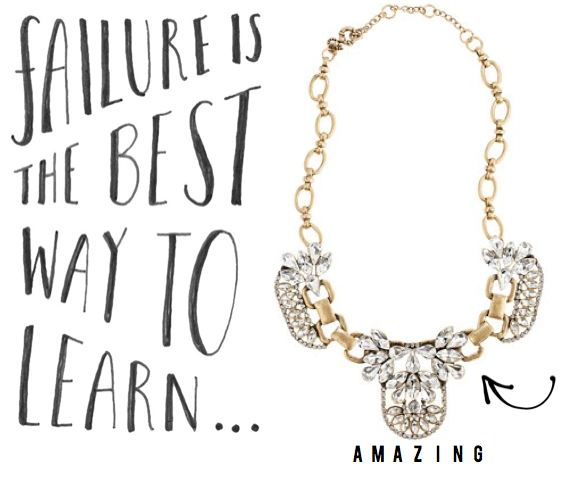 Crystal Cluster Necklace // This beauty has left me breathless. 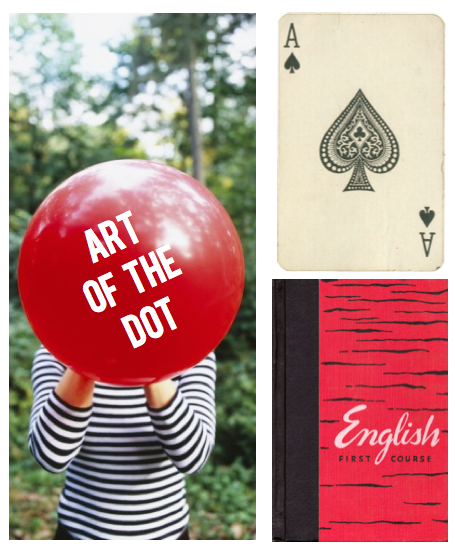 The art of the dot. // Loving the new September campaign at Kate Spade. Ace up your sleeve. // Have you had enough of the letter A yet? English First Course // Colorful and wonderfully retro!